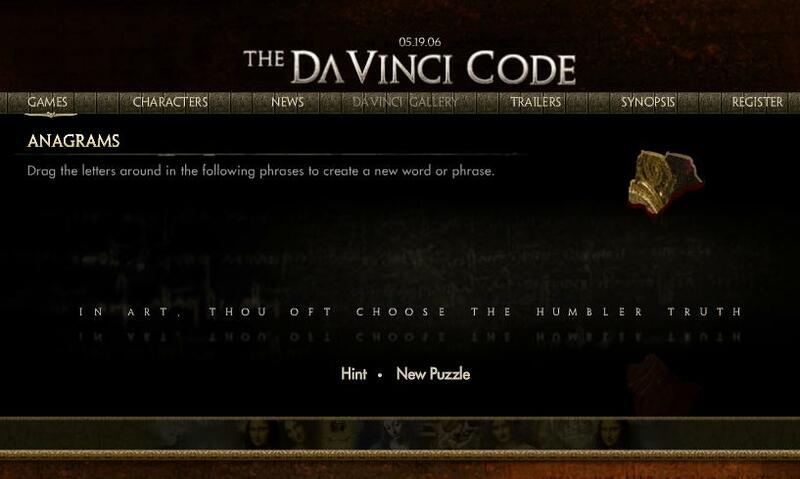 This time, the Da Vinci Code movie website is loaded with a few Anagram Puzzles , and a symbol Sudoko kind of game, which we need to crack, to get inside the Gallery of the web-site. It is really interesting to solve this, remembering the old-story. But unfortunately, a few Anagrams are about the actors in the movie. So, you might probably need this. 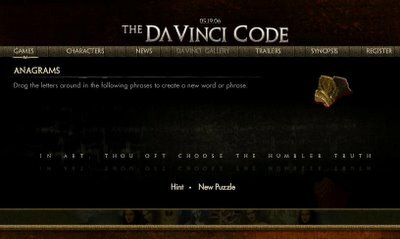 If you have read Da Vinci code, then you are sure expecting this. And am sure, you are thinking the movie will not be upto the expectations. Most people I spoke to, said "The movie mostly will not give you the interest the book gave.. " Hmm.. let us wait and see.. Meanwhile keep cracking this website, and let me know if you got into the Gallery. 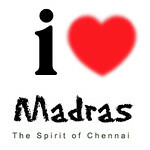 keerthi i will try my hand at this..
dunno if i can reach the gallery.. will tell you if i did.. Cooker vedippu investigations ppaayikittu irukka?